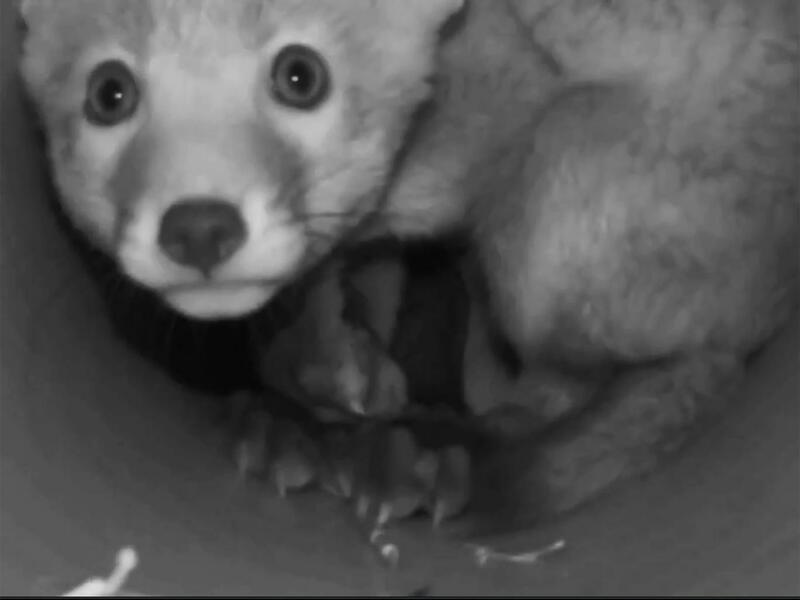 16 cubs were stored in a shed fitted out to mimic a fox earth; there were no vixens or adult foxes, suggesting the cubs were forcibly removed from their natural habitat. 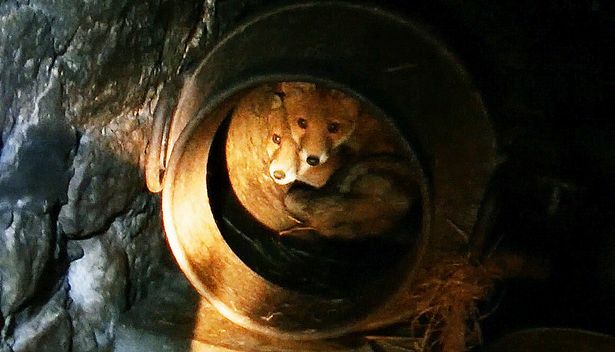 A man has been arrested after 16 fox cubs were found in a barn linked to a fox hunt. The animals, aged between six and eight weeks, were rescued following an undercover operation by worried activists. The League Against Cruel Sports alleged they were being reared as prey for hounds and huntsmen on horseback to pursue them across the countryside for pleasure. But a huntsman and landowner insisted the claim was “rubbish”. The League’s Dr Toni Shephard said that in her opinion the cubs had been “kidnapped for cruelty” because no adult foxes were in the shed. She added that it would “blow apart the argument that (fox) hunting is ‘wildlife management’”, if it was proved. Video footage shot last month shows a man entering a barn on land linked to the Middleton Foxhounds Hunt in North Yorkshire. He was covertly filmed going into the shed, which anti-hunt campaigners said contained the cubs. Ten officers later raided the barn and rescued the animals, though one later died. Police confirmed the cubs were fed while they were kept in the property. A man who works part-time for the hunt was arrested and bailed pending further inquiries. The Countryside Alliance told the BBC the Middleton Hunt was confident no-one associated with the Hunt had committed any criminal offence. 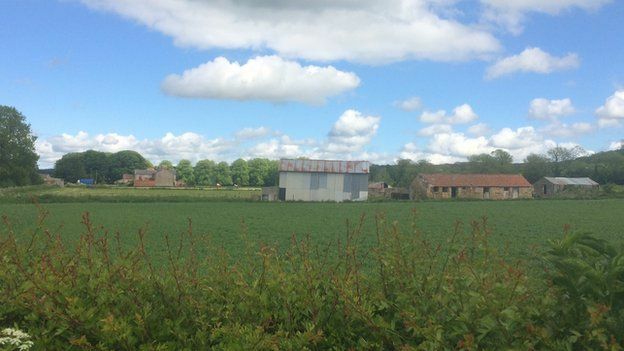 Police said: “Officers conducted a search of an outbuilding near Malton on Sunday morning, under the Animal Welfare Act. “They found 16 fox cubs, all aged from about six to eight weeks old. “Officers rescued the cubs and they are now being cared for in an animal sanctuary outside North Yorkshire. 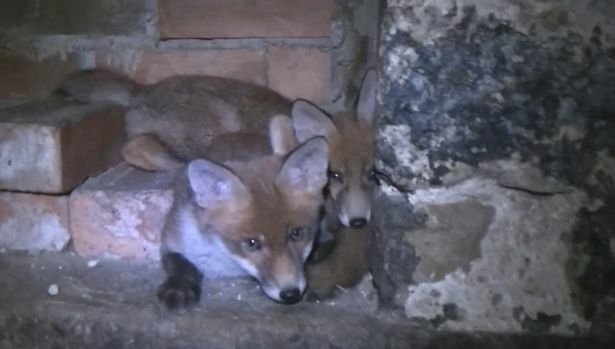 “The foxes were being fed and had access to water, but police need further information as to how they got in the barn, why they were there, and who put them there. The discovery came after the League Against Cruel Sports was tipped off about the cubs on the Birdsall Estate in Malton, North Yorks. The Middleton Hunt keeps kennels on the land. No vixens or adult foxes were seen in film from the inside the barn. Dr Shepard added: “Footage, the intelligence we have received, and testimony from people who have been involved in hunts all show that raising foxes to be hunted was, and still is, a common practice among hunts. She added that in the League’s opinion, “the answer is simple but terrible – they capture foxes so there is always a ready supply of animals to be chased by the hunt”. The Birdsall Estate’s Lord Middleton, who hunted three times last year, denied the cubs were being raised as quarry. Speaking as the landowner, he said: “That’s rubbish. We’re not allowed to hunt foxes with hounds. Lord Middleton said he “had no idea whatsoever” the cubs were being kept on his land, but added that they were not being mistreated. He said he did not “condone” keeping foxes, and suggested the cubs were being cared for by the Hunt for kind reasons.